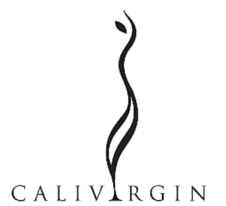 We first met the family who own Calivirgin in 2014 at the New York Fancy Food Show. Their products are delicious, and we learned from them the art of crushing the citrus or herbs with the olives to obtain the best flavor. We knew we had to carry some of their products. And besides, they are the nicest people to work with too. Isn’t that what it is all about? Calivirgin olive oil, a Lodi olive oil, is grown and produced by Coldani Olive Ranch, part of a diversified family owned farming company in the Lodi-Delta region of California. Coldani Olive Ranch uses oil derived exclusively from its own olive groves. All of our extra virgin olive oil is estate grown; we don’t use any pesticides and our product is organically and sustainably produced from our family owned and operated farm. Our Calivirgin olive oils have consistently medaled in all of the national competitions making us one of the most awarded companies in the nation; popular for their fresh, aromatic, fruity flavor that is perfect for dipping but mild enough to use as a culinary staple in your kitchen. Our flavored olive oils have been milled the exact same way as our premium extra virgin olive oil, except they have been crushed together with fresh produce/herbs. The result is a naturally flavored oil with no additives or preservatives. At Calivirgin, we believe our olive oil is so good it should be on the wine list. Enjoy! All of our Extra Virgin Olive Oils have been Seal-Certified by the California Olive Oil Council (COOC). A Seal-Certified olive oil offers the highest standard of quality to American consumers with positive taste elements, no taste defects, andless than .5% free oleic acid, as determined during a blind tasting by a qualified panel of experts. Seal-Certified olive oil also comes from olives that are mechanically extracted without chemicals or excessive heat. As stated by the COOC, “Trust the Seal - Your Extra Virgin Guarantee.” Any oil that does not bear the seal has no guarantee that it has been tested to meet any standards at all as there is currently no mandatory testing for quality of olive oil sold in the United States. Calivirgin flavored olive oils are made by crushing fresh produce with the olives during their milling process which is different than that of infused olive oils that use flavor extracts. Basil Olive Oil is milled exactly the same way as the premium extra virgin olive oil, except basil leaves are crushed together with the olives. The result is a fresh, unfiltered, premium olive oil with no additives or preservatives that has a natural basil flavor. Try it on tomatoes, and fresh mozzarella with barrel aged balsamic for a great pares salad or on pasta or baked potatoes with fresh parmesan cheese. Delicious. 2017 Awards, Best of Show and Best of Class Gold Medal Yolo County Fair Olive Oil Competition and 2017 Good Food Award Winner.